← How Do You Do?! There were a solid few months, some several years back, where all I’d listen to was Creedence on vinyl. Around this time I was finishing up the stellar discography of studio albums (of which there are seven: self titled, Bayou Country, Green River, Willy and the Poor Boys, Cosmo’s Factory, Pendulum, and the often forgotten, Mardi Gras). 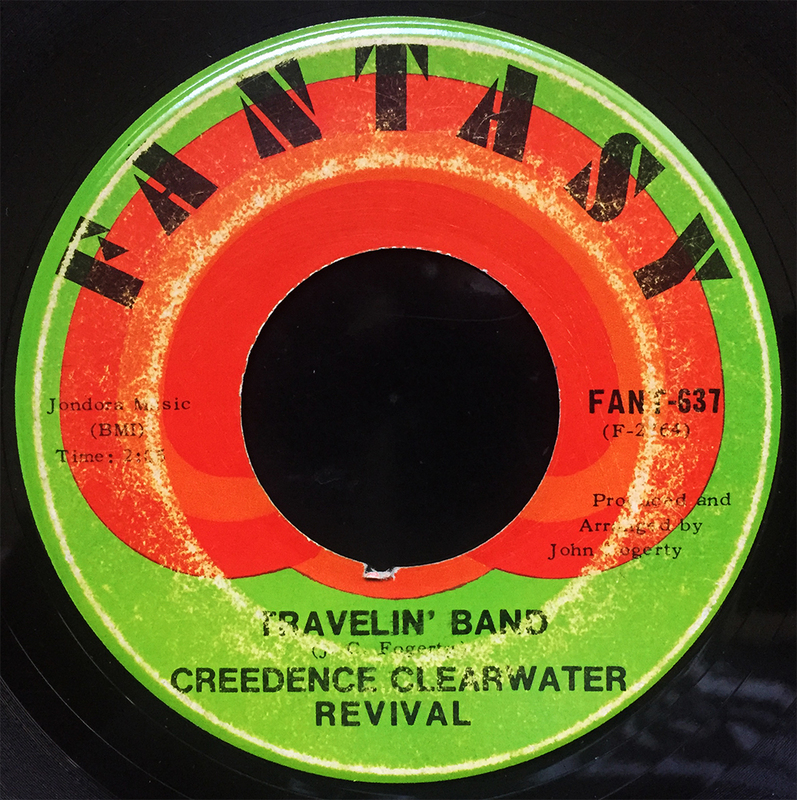 45s were fairly easy enough to come by, and this one from 1970 was a spoil from my travels… Travelin’ Band b/w Who’ll Stop the Rain. Both essential CCR numbers at any rpm.